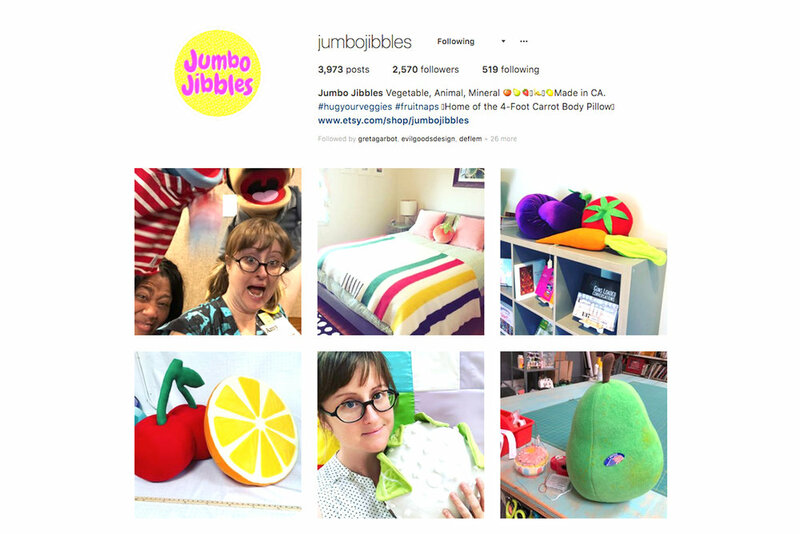 Jumbo Jibbles’ giant, stuffed pillows were featured on The Tonight Show and a recent Sprite commercial. Amy Brown creates playful plush fruits & veggies with an eye towards scale. 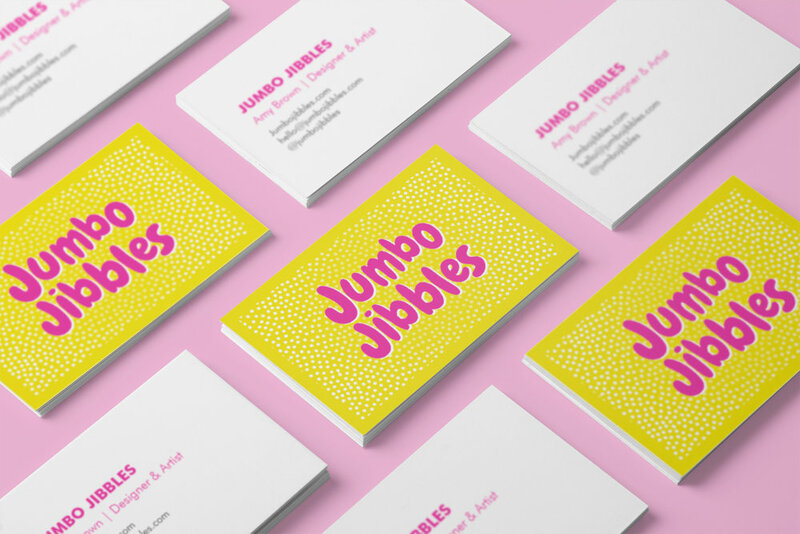 For Jumbo Jibbles, I wanted something playful and bright. The main logo is anchored by Futura font for the business card. I am honored to work with Amy on this vibrant and fun identity.